National Healthcare Decisions Day is April 16, 2019, with focus on reminding people, regardless of age or current health status, of the importance of making their personal healthcare decisions known. 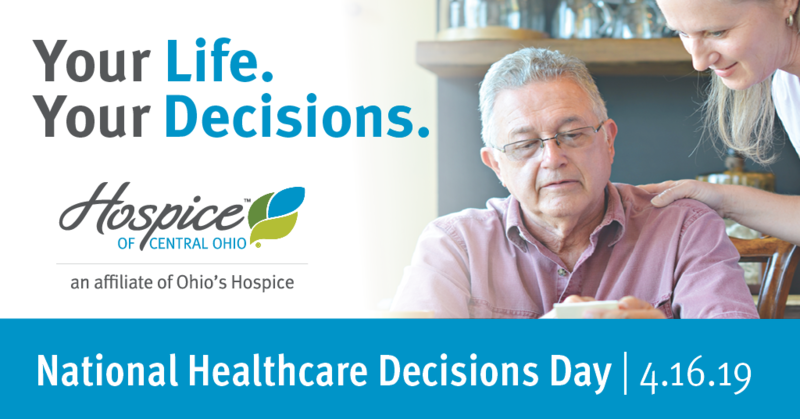 Hospice of Central Ohio is joining the effort to encourage members of our community to participate in important discussions about end-of-life care. Every day at Hospice of Central Ohio we help families come to terms with the unimaginable loss of a loved one. Family members are torn as they consider what is right, what is best, how to best honor the life of their loved one. There may be differences of opinion that can fracture families forever. This does not need to happen.